Celebration of Life for Debra Fussell Demott, 57, of Moultrie, will be held Friday, August 17, 2018 from 6 PM to 8 PM at the home of Autumn Bayya, 2463 Ga Hwy 33 S, Moultrie, GA. Ms. Demott passed away Wednesday, August 15, 2018 at Pruitt Health in Moultrie. Born January 1, 1961 in Moultrie she was the daughter of James William Fussell and Myrna Judith Ward Merck. Debbie (as she was affectionally known) was an avid horseman. 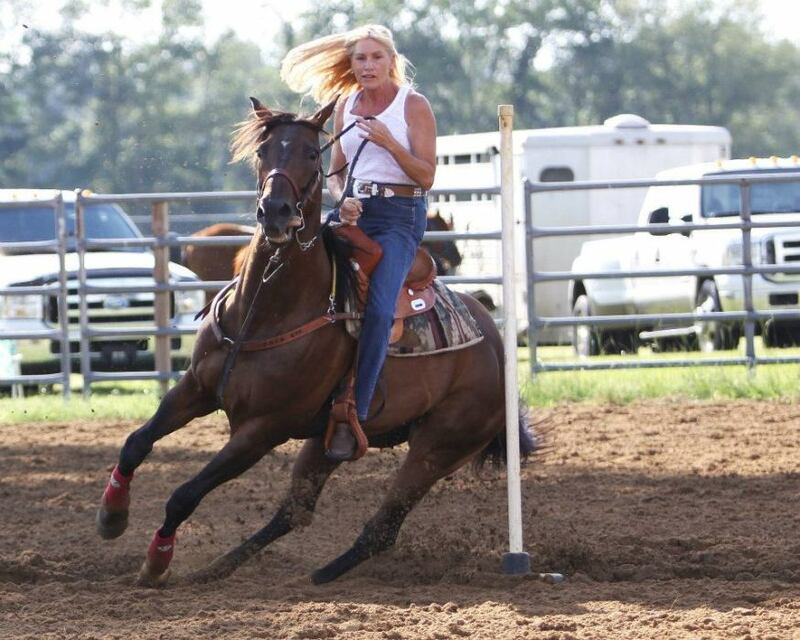 She was a member of the Mitchell County Saddle Club, Deep Dixie Association and the Georgia Federation of Saddle Clubs. She competed in local and state shows and her horse family would tell you she was tough but fair competition. She had a straight forward personality and could be counted on to help you when needed. Her horse family have said she showed no fear and was there to win, but would congratulate you when you beat her – “just beware the next time”, all in fun. She is survived by her three daughters, Sheree Hamilton (Anthony), Miranda Davis (Brandon), and Becky Giddens; her mother Myrna Judith Merck; two brothers, Chad Fussell and Sam Fussell; four grandchildren, Autumn Bayya, Eddie Hamilton, Rayland Demott, and Asa Giddens; special friends Whitney Wright, Cheryl Powell and Gene Willis, along with many other family and friends. She was preceded in death by her father James William Fussell. Friends may sign the online guest register at www.willisjamersonbraswell.com Willis-Jamerson-Braswell Funeral Home, Pelham.